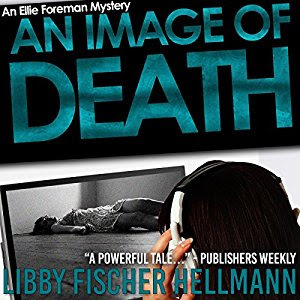 Ellie Foreman is really, really trying to be good--to go along with the variously expressed wishes of her dad, Mac, and David that she stay out of trouble. She goes to a ladies' charitable lunch as the guest of occasional nemesis Rikibeth Feldman, and isn't surprised when it turns into a request to make a video for the project. The project, it seems, is transitional housing for kids aging out of foster care. How can that lead to trouble? 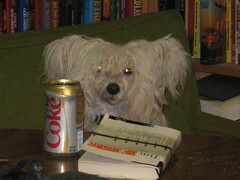 But this is Ellie, with her curiosity, her need to help, and her general gift for attracting trouble. Her doorbell rings one evening, and her daughter Rachel answers the door to find a van driving away, and a package left at their door. It's a videotape. When she plays it, Ellie is relieved that Rachel got bored and went upstairs. It's a video of what appears to be a a murder. Ellie does the sensible thing, and gives the video to the police, specifically to Georgia Davis, whom she and Rachel know from when she was the youth officer. Except that, of course, being Ellie, she makes a copy at Mac's studio before she does. What follows is, for Ellie, a confusing and alarming series of events. She can't leave that video with its apparent murder alone, and can't shake the idea that whoever brought it must have had some reason for wanting her to see it. Meanwhile, David has gotten word that his uncle--long believed dead in the Holocaust with all of his family except David's mother, Liesl, may be alive. The basis of this is an anonymous letter to a former neighbor back in Freiburg, but David reacts badly when Ellie gives perfectly sensible advice about being careful of anonymous letters. Hellmann always does good character development, and the tangled relationships and storylines here make a very good read. The foster care project is not the sideline it might have been, but becomes intertwined with both the murder shown in the video and David and Ellie's complicated and strained relationship. It's a very good mystery, with Ellie continuing to learn and grow from her sometimes terrifying experiences. We also see Georgia Davis perhaps experiencing the first strains which lead to her later moves. Very much worth reading. I received a free copy of this audiobook.